LAWLOR, THOS. 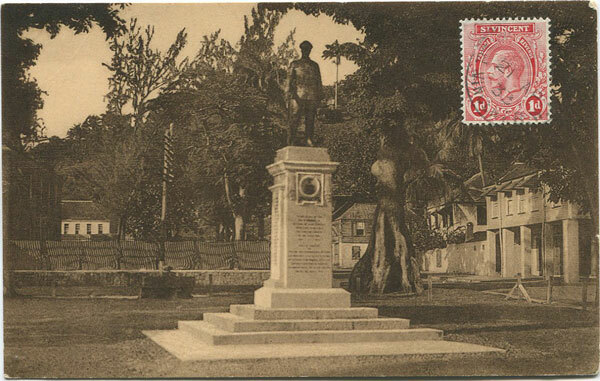 & CO Kingstown, Saint Vincent, W.I. 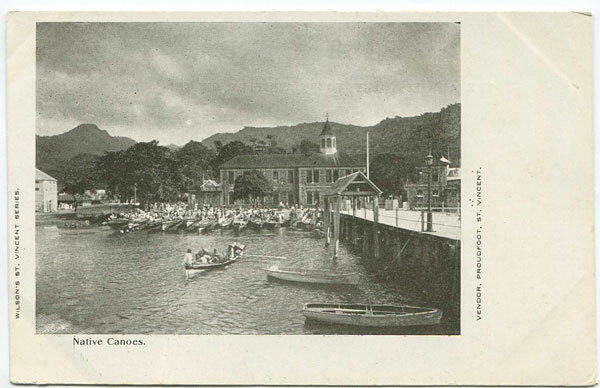 Old St Vincent postcard, circa 1907, clean unused. SANBRIDE Victoria Park, St Vincent. 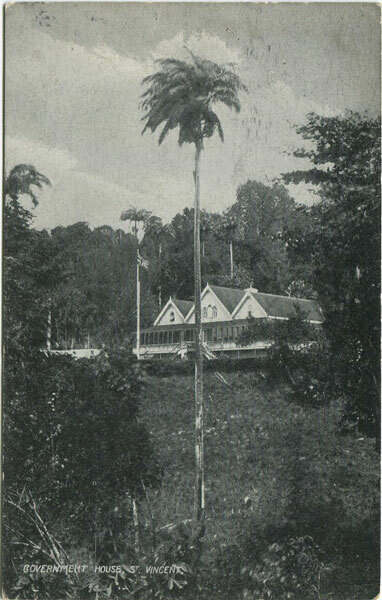 SANBRIDE Government House, St Vincent. 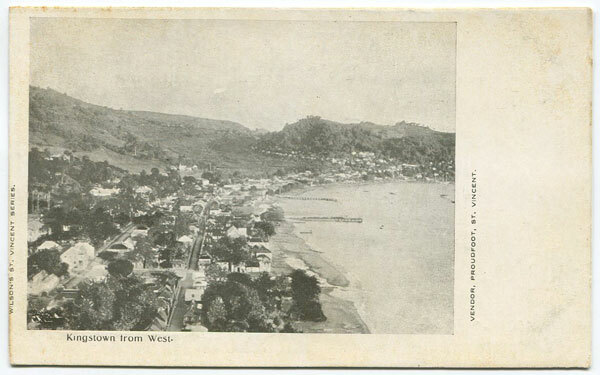 Early undivided back St Vincent postcard, circa 1904, clean unused. 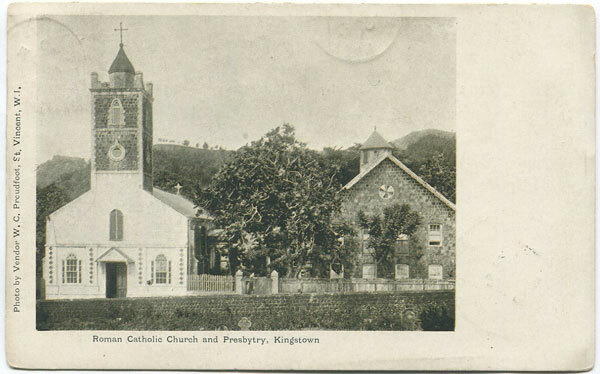 W.C. PROUDFOOT Roman Catholic Church and Presbytry, Kingstown. 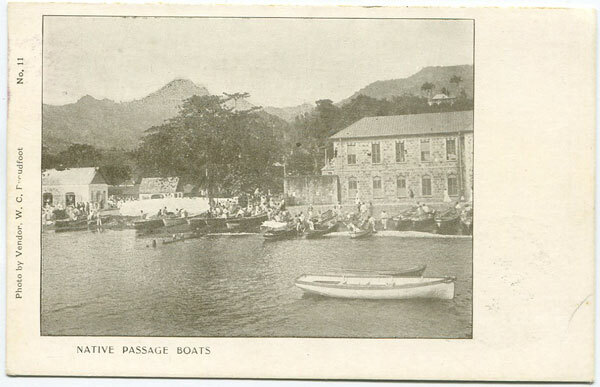 Early undivided back St Vincent postcard, used in 1904 to U.S.A.
W.C. PROUDFOOT Native Passage Boats. No 11. 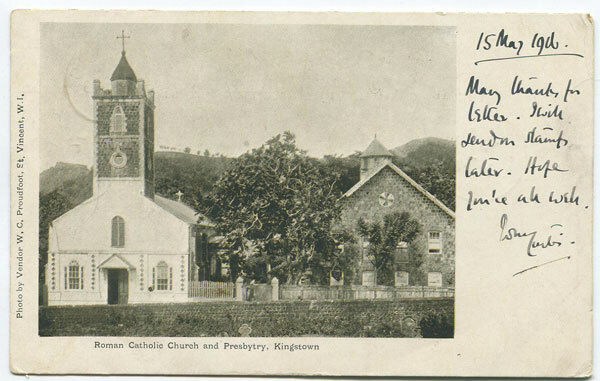 Early undivided back St Vincent postcard, fine unused. VERBEKE LOYS & CO The War Memorial. Kingstown St Vincent. 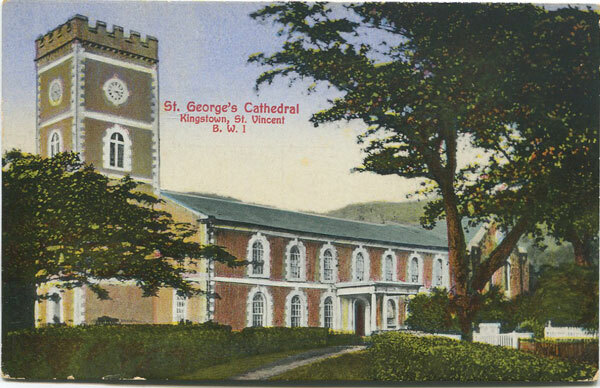 Old St Vincent postcard, used in 1933 to Canada. 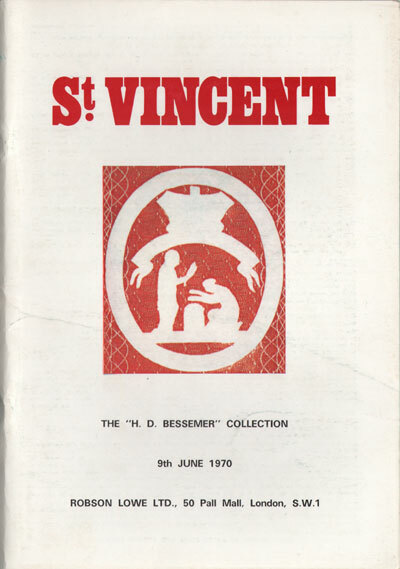 VERBEKE LOYS & CO S. Mary's S. Vincent, B.W.I. In the Cloister. 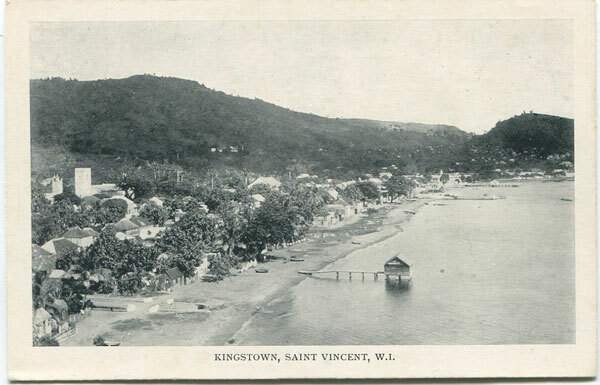 Old St Vincent postcard, circa 1940, fine unused. 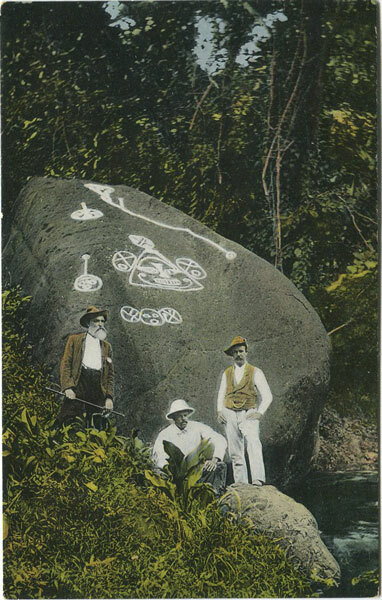 SCHIEBELER & CO Carib Natives and their Worship. 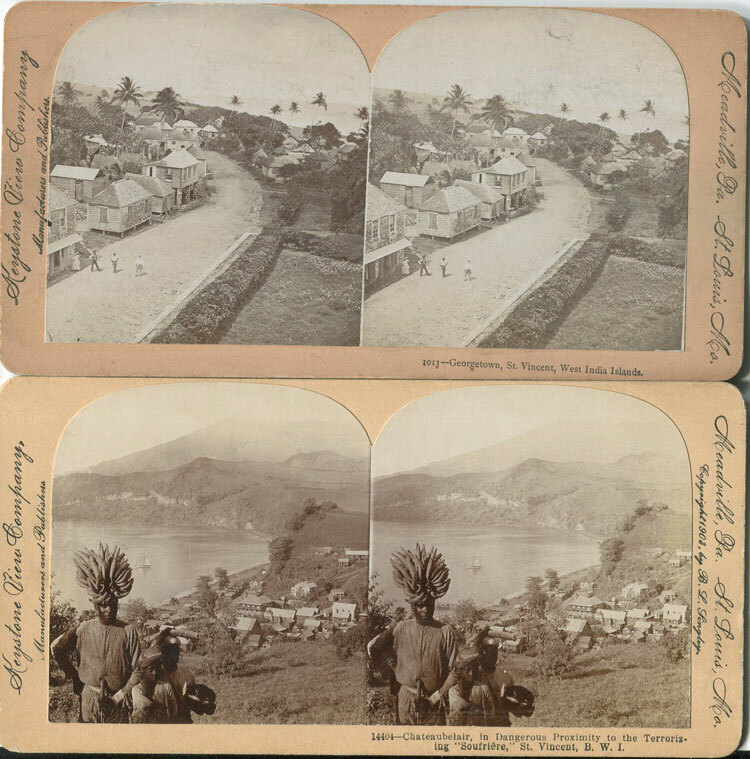 Kingstown, St Vincent B.W.I. 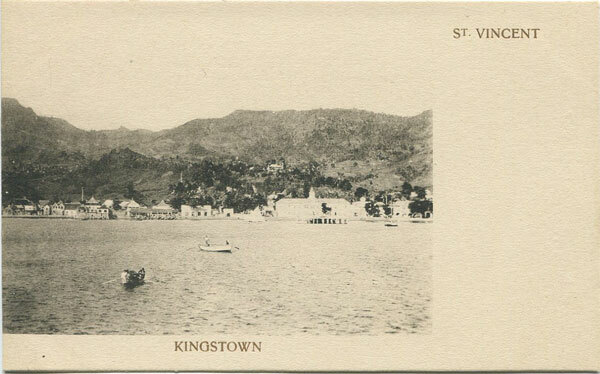 Old St Vincent postcard, circa 1934, fine unused. SCHIEBELER & CO St George's Cathedral. 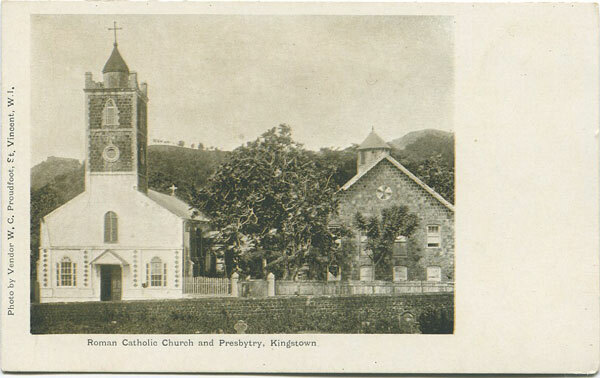 Kingstown, St Vincent, B.W.I. WILSON J.C. Kingstown from West. 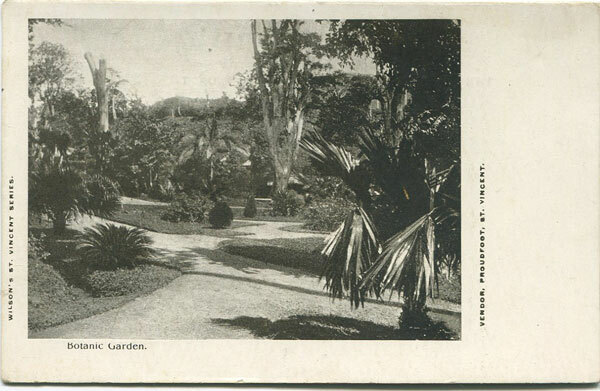 Early undivided back St Vincent postcard, circa 1904, unused. Slight toning. 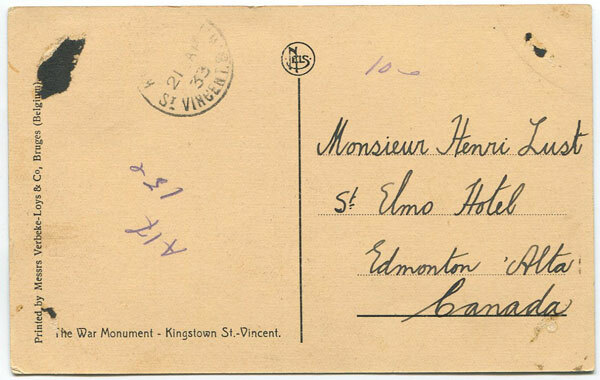 Early undivided back St Vincent postcard, circa 1904, tiny crease, clean unused. 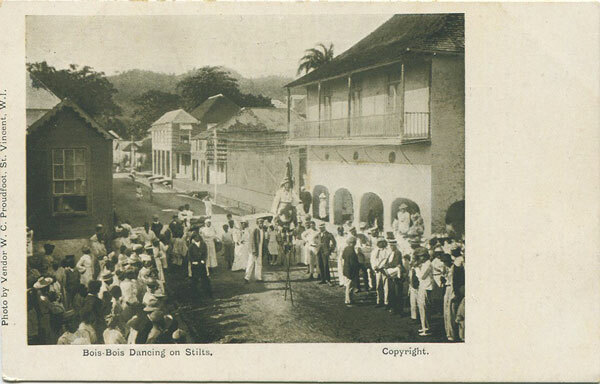 W.C. PROUDFOOT Bois-Bois Dancing on Stilts. 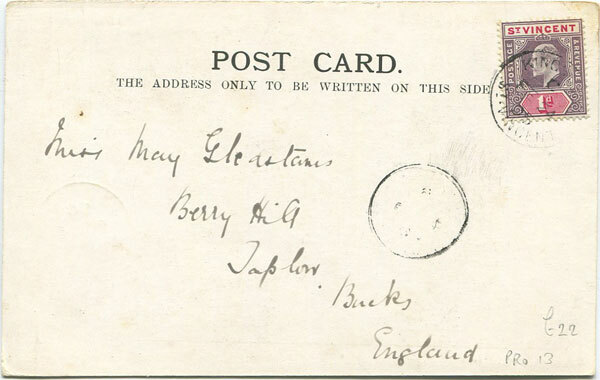 Early undivided back St Vincent postcard, circa 1904, fine unused. 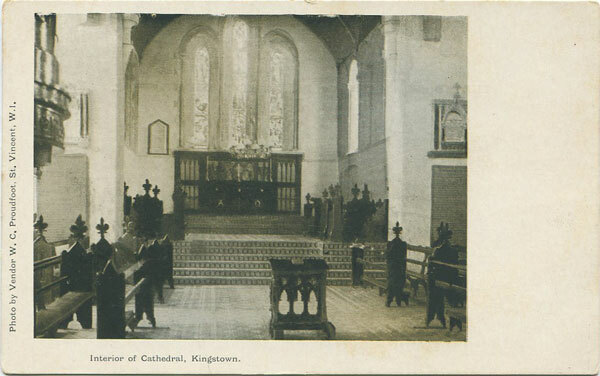 W.C. PROUDFOOT Interior of Cathedral, Kingstown. 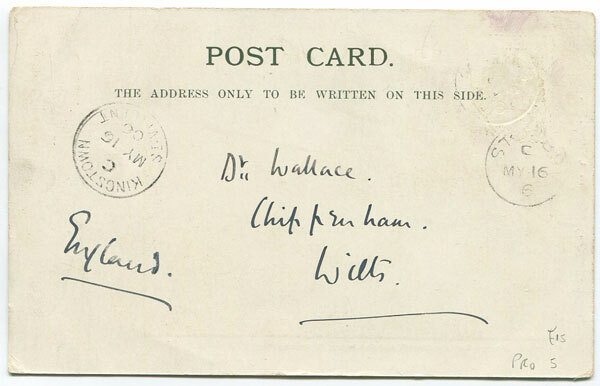 Early undivided back St Vincent postcard, used in 1906 with scarce STUBBS village cds cancel but sadly stamp removed. 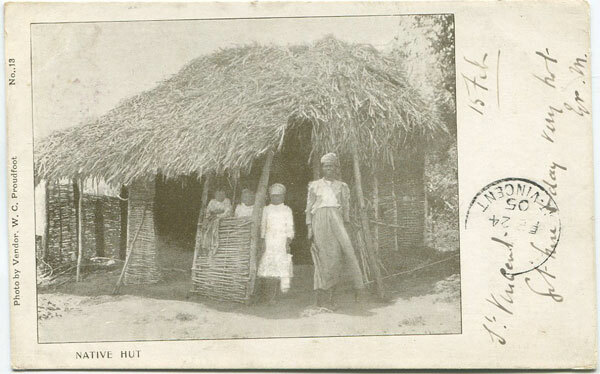 W.C. PROUDFOOT Native Hut. No 13. 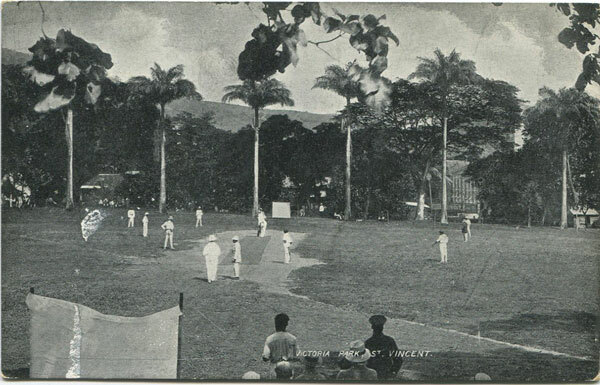 Early undivided back St Vincent postcard, used in 1905 to England. Fine. 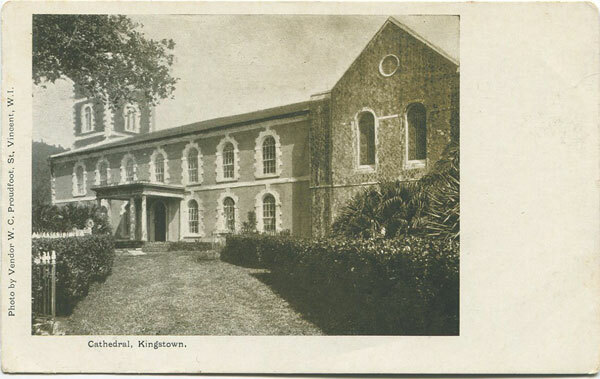 RAPHAEL TUCK & SONS Kingstown, St Vincent. 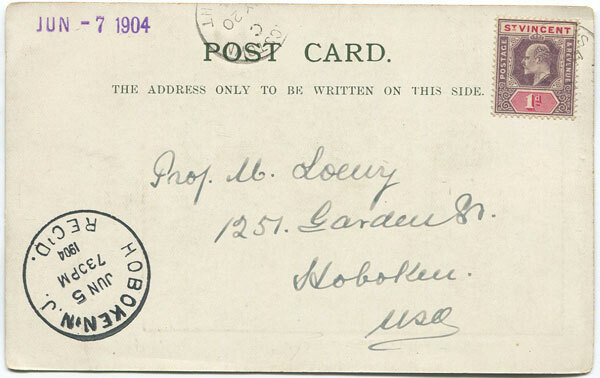 Old sepia postcard, circa 1905, clean unused. 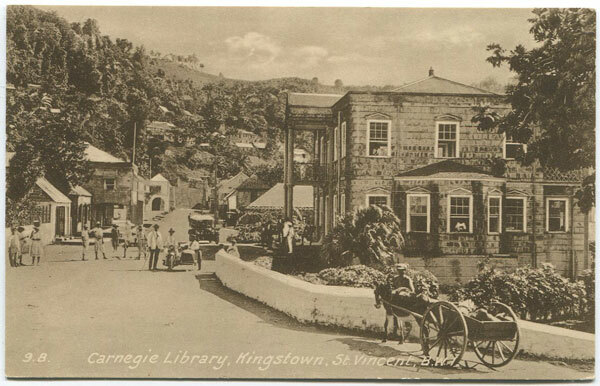 RAPHAEL TUCK & SONS Carnegie Library, Kingstown, St Vincent B.W.I. 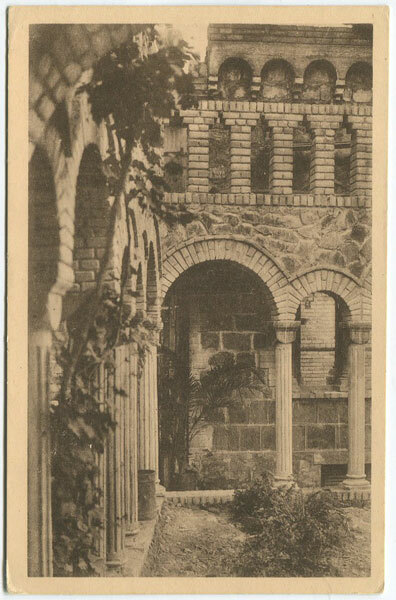 Old sepia postcard, circa 1927, clean unused. 1970 (9 Jun) H.D. Bessemer coll. of St Vincent. Robson Lowe 44pp + PR. KEYSTONE VIEW COMPANY Georgetown, St Vincent and Chateaubelair in Dangerous Proximity to the Terrorizing Soufriere, St Vincent. Two steroscope photos, circa 1904. Fine. 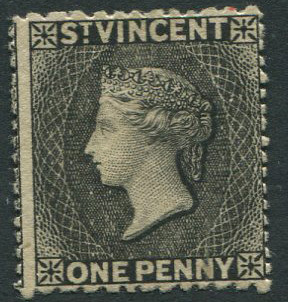 1875-8 St Vincent perf 11 to 12½ x 15, 1d black (SG22) fresh o.g. 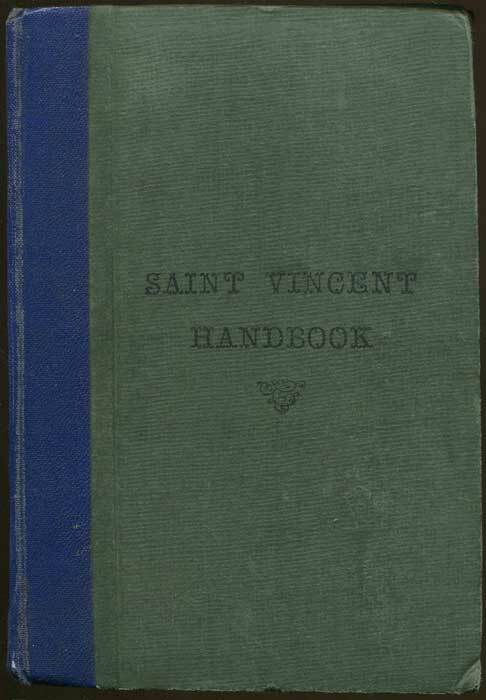 ANDERSON Robert M. The Saint Vincent Handbook Kingstown, St Vincent 1938 453pp + plates and adverts. 5th ed., fine in original cloth. Rare.